On the eve of the official inauguration of Expo 67, a French journalist described Montréal Mayor Jean Drapeau as a sorcerer-builder, indefatigable artisan and promoter of Expo. 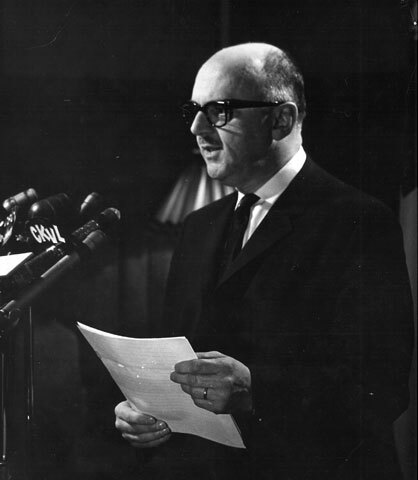 Drapeau showed great daring during the Expo 67 project, but the mayor was no novice. He had already proven his mettle in the construction of Place-des-Arts and the Montréal metro, respectively, in 1961 and 1962. 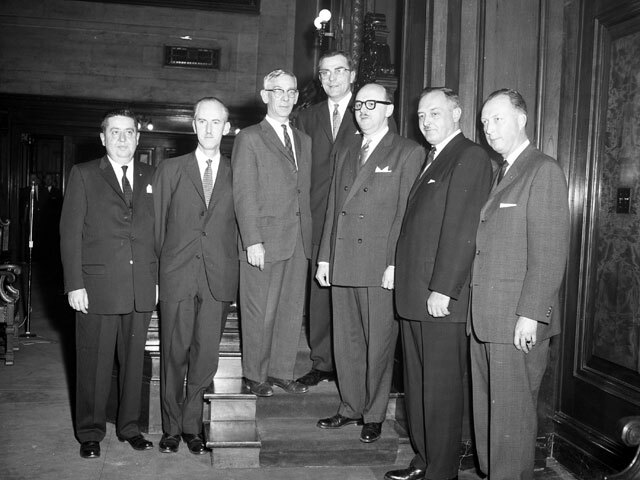 Earlier in the 1950s, he had pushed the envelope even further, acting as counsel alongside Pacifique Plante in the vast inquiry into police corruption in Montréal. He garnered enough support to be elected mayor of the Canadian metropolis in 1954. After Expo 67, Drapeau continued to forge ahead. Thanks to his initiatives, Montréal welcomed a major league baseball team, the Montréal Expos in 1969, the Olympic Games in 1976 and the Floralies in 1980. No one wore the mantle of Mayor of Montréal for as long as Drapeau, some 29 years, and probably no one nurtured greater ambitions for Montréal than he.